Whatever days – Where Is My Teaspoon? Thank goodness it’s the weekend as I am dead fed up. 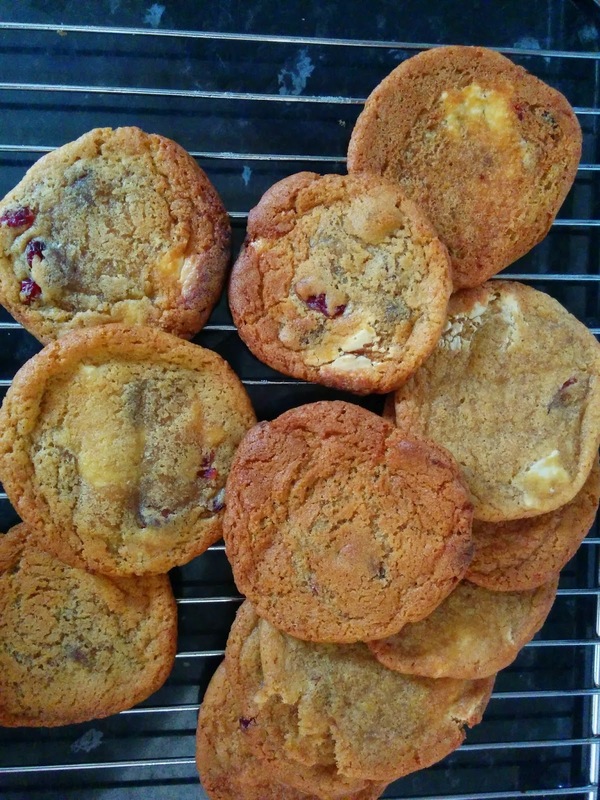 Today I’m sharing a recipe for Cranberry and White Chocolate Cookies. I haven’t made these in months but today seems a good day to revisit them. Perfect with a glass of milk or dipped into hot tea. Preheat your over to 190 degrees and line up your baking trays. 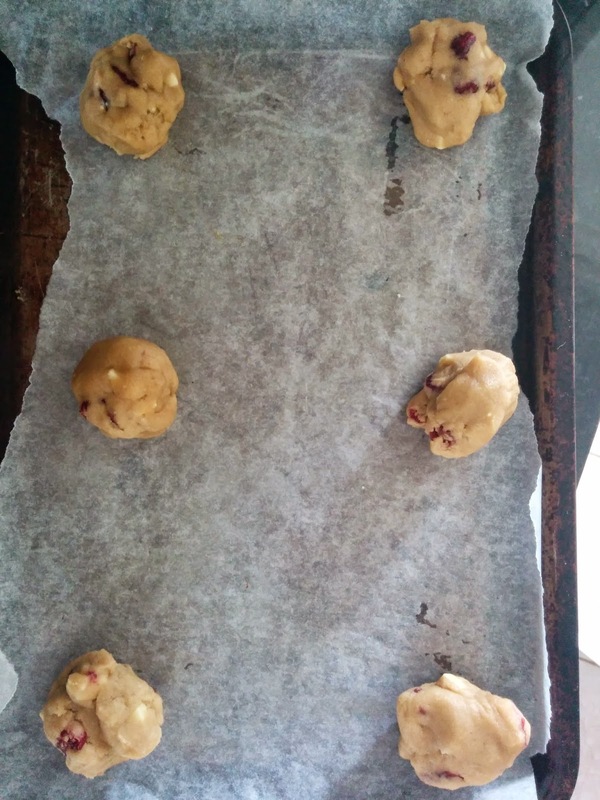 Chop the white chocolate into little chunks and weigh out your cranberries for later. Cream the butter and sugar together until light and fluffy. Add in the eggs one at a time and beat well. Follow with the vanilla. Sieve in the flour, baking soda, salt and mix until smooth. Add the chocolate and cranberries and mix. Easy. 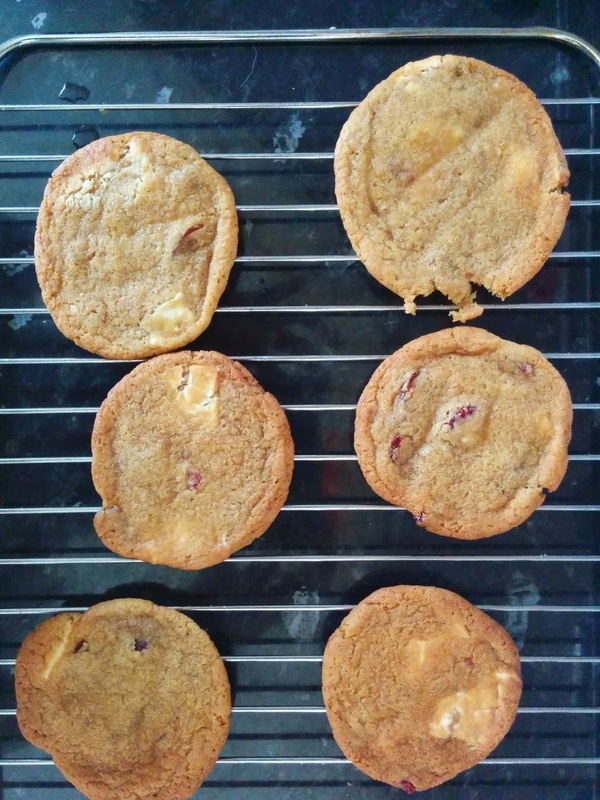 Decide on what size cookies you want to make and spoon your mixture in little blops on your baking tray. Place in your oven and allow to bake for about 15 minutes. Remember, the “Slap” trick halfway though. See here for a reminder on this. Allow to cool slightly on a wire tray before tucking in. Delicious! Next Post You drive me nuts.